Tonight, like every other night, I come to the same conclusion: The Kalamazoo Book Arts Center, and their Poets in Print series, never disappoint. This evening, beginning at 7pm, the KBAC introduced Tyler Mills and Brynn Saito, both with their first collections of poetry. Admittedly, I had never read work by either of these young poets, but tonight, I was in for a treat. . .
Tyler Mills read eight striking poems from her collection, Tongue Lyre, published by Southern Illinois University Press and winner of the Crab Orchard Series in Poetry’s First Book Award. She began with the opening poem in the collection, “Tongue” (which I’ve included below), and my mind was instantly stolen. From what I have gathered so far, the narrative line in her work is stark and striking, lightly populated with lyric moments that somehow seem to take the line somewhere beyond truth (i.e. “my thighs sometimes still feel like the whites of a poached egg.”—isn’t that brilliant?). Her reading, too, is impressive; while she is quiet, there is sheer confidence and striking enunciation in, both, her voice and her eye contact. She looked at me multiple times during her reading, at seemingly perfect points; and each time, it was as though I were temporarily struck dumb. Fantastic, too, was Brynn Saito’s reading from her collection, The Palace of Contemplating Departure, published by Red Hen Press and winner of the 2011 Benjamin Saltman Award. She only read five well-selected poems—four from the collection, one outside—but the poems were commented on and joked about in-between readings, which gave the poems a special quality and freshness that might have been missed if only reading the book alone in a room somewhere. In looking through her poems, there is this wonderful blend of growing experiences (such as first loves, travel, familial memories) and cultural references (for instance, Japanese internment camps in WWII). She, too, has this somewhat-conversational line to her poetry that is frequented by what can only be called surrealism, snapshots, that force the reader to view these poems as living, breathing entities (one of my favorites is “Tree of Life,” included below). where you select who to save from an apartment that’s on fire. as if I am the last horse to wander out during the credits. What I mean is, my thighs sometimes still feel like the white of a poached egg. to an oak like the one shading my porch—I go there at night to breathe. she weaves what happened: images in a bolt of cloth, a kind of flag. leaning on the bottom panel of the doors in the neighborhoods. someone cross the street. When I woke, flames were mouthing the air. in your blue jay mind: her of the homecoming. Tyler Mills was born in Chicago. She is the author of Tongue Lyre, which won the 2011 Crab Orchard Series in Poetry First Book Award (Southern Illinois University Press). Her poems have appeared in AGNI, Antioch Review, Georgia Review, Nashville Review, Poetry Northwest, Prairie Schooner, TriQuarterly Online, and elsewhere; her poems have also been the recipient of awards from the Crab Orchard Review, Gulf Coast, and Third Coast. She has received a work-study scholarship from Bread Loaf and a John Woods Scholarship from the Prague Summer Program. A graduate of Bucknell (BA) and the University of Maryland (MFA, Poetry), Tyler is currently pursuing a PhD in Creative Writing at the University of Illinois-Chicago. 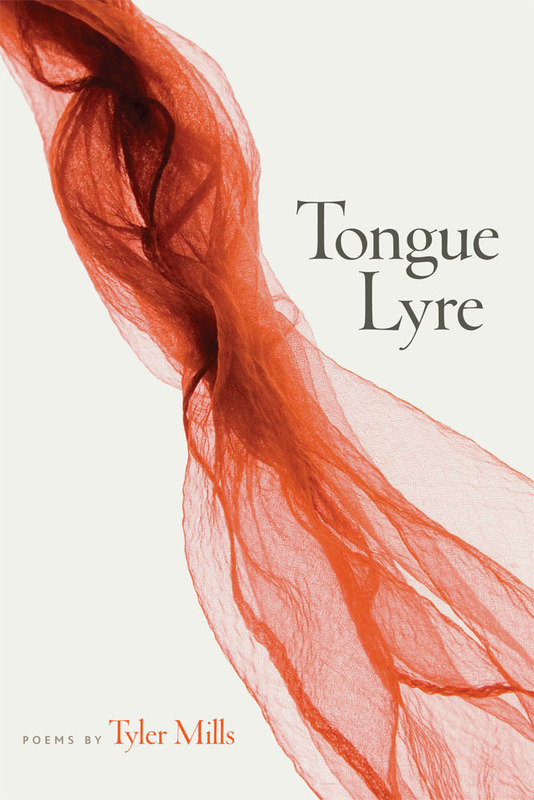 If you would like to purchase Tongue Lyre, please visit Southern Illinois University Press! 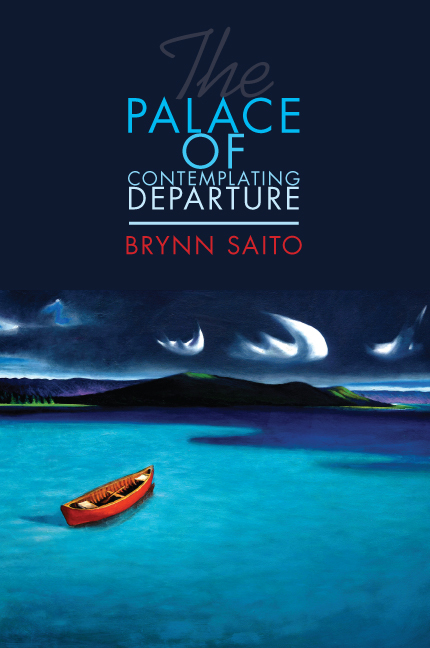 Brynn Saito is the author of the poetry collection The Palace of Contemplating Departure, winner of the Benjamin Saltman Award and hot off the press from Red Hen Press (March, 2013). Her poetry has been anthologized by Helen Vendler and Ishmael Reed; it has also appeared in Ninth Letter, Hayden’s Ferry Review, Pleiades and Drunken Boat. Brynn was born in the Central Valley of California to a Korean American mother and a Japanese American father. She lives in the Bay Area and teaches in San Francisco. If you would like to purchase The Palace of Contemplating Departure, please visit Red Hen Press! Mills, Tyler. Tongue Lyre. Carbondale and Edwardsville: Crab Orchard Review & Southern Illinois University Press, 2013. Page 3. Print. Saito, Brynn. The Palace of Contemplating Departure. Pasadena: Red Hen Press, 2013. Page 66. Print. Next There is Nothing but Danger Here. Thank you, McKenzie Lynn Tozan!